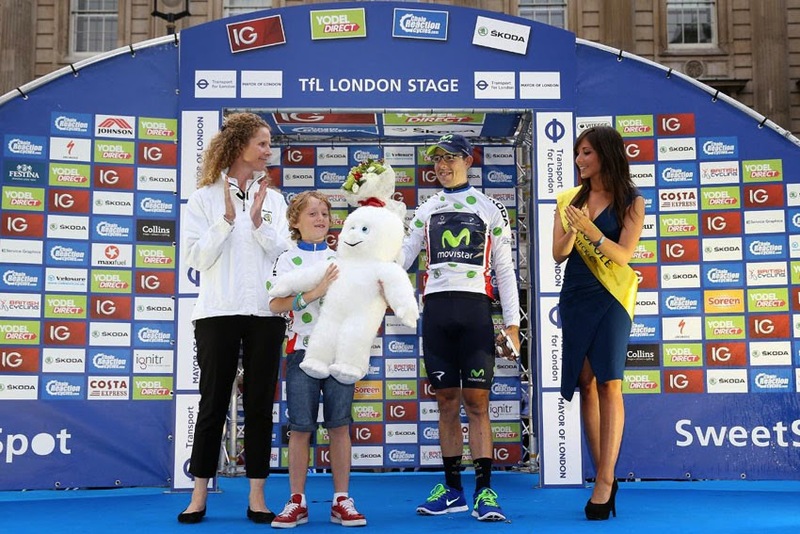 Northamptonshire school boy Harry Yates, nine, took to the Tour of Britain podium in London, after winning a national competition held by Skoda UK. Skoda King of the Mountains jersey; awarded to the best climber in the elite British cycling race. Harry Yates, who attends Bracken Leas Primary School in Brackley, Northamptonshire,was picked as the overall winner out of more than 360 entries received from children aged 7 to 16. 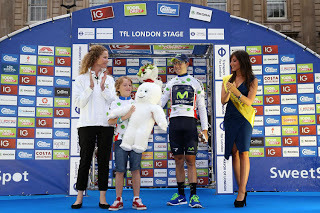 His prize saw him at the Tour's final awards ceremony, presenting the official King of the Mountains jersey, sporting his design, to Angel Madrazo. "My dad recorded all the Tour of Britain highlights for me to watch, and I couldn't believe it when I saw my jersey on the TV. I really enjoyed being on the podium, and loved meeting Angel Madrazo. I can't wait to get out on my bike now!" said Harry. As official vehicle sponsor to The Tour of Britain, Skoda UK supplied a 50-strong fleet of Skoda vehicles to support cyclists over the eight-day long race. "As the Tour passed through cities and villages across Britain this week, we've seen hundreds of young people getting excited about cycling. We saw that same enthusiasm in all the entries we received to our design competition, and we're incredibly proud to play a part in raising the sport's profile in the UK through our sponsorship of the event," said Emily Burns, Communications Manager for Skoda UK. "It was great to see Harry on the podium in London. On behalf of Skoda UK, I'd like to congratulate him again on his winning design, which has now been seen by thousands of Tour of Britain spectators."